Hello everyone. I know it has been a while since I featured an author interview, and no excuse will I offer other than the fact that I have been super busy with everything going on in the writing world this year. To make up for this lapse in featuring new talent, I want to introduce you to a young author that I have featured many times on my blog but never a personal interview. This changes today as he finally takes the stage. He is, James Crawford. 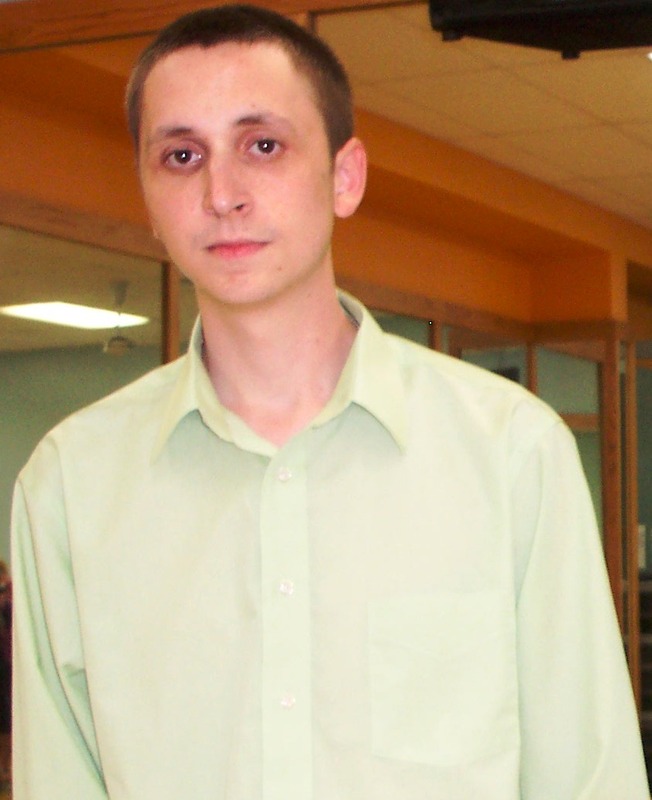 “About the Author” – James Crawford lives in Horn Lake Mississippi with his partner of 7 years. He grew up in Foxburgh, Pa (a small town in the middle of nowhere.) He began writing the Leech series in 2007 after having a reoccurring dream about a young boy with skin whiter than a sheet. The story inspired a writing frenzy that is shaping into the Leech series. I began writing in 2007. I actually have no formal writing skills and when I started out it was just an attempt to get the story out of my head. At the time I had no intention of publishing it. It wasn’t until I became brave enough to share my story that I was told how good it was and convinced that I should get it published. Its actually strange to look back and see all the time I had and didn’t realize. I was a World of Warcraft junkie. I spent tons of mindless hours just playing that game and never really getting anywhere. Although I was inspired to write by the series of dreams I had I have to give some credit to the late Perry Moore. He showed me that a story could have a gay main character without the stories focus being on his sexuality. I prefer to write YA paranormal. It’s always been my favorite genre to read so I guess it’s only natural for my brain to be programmed to write in that way. My latest book is actually the second book in the Leech series. It is called Jack. It picks up right where the story of Caleo left off. 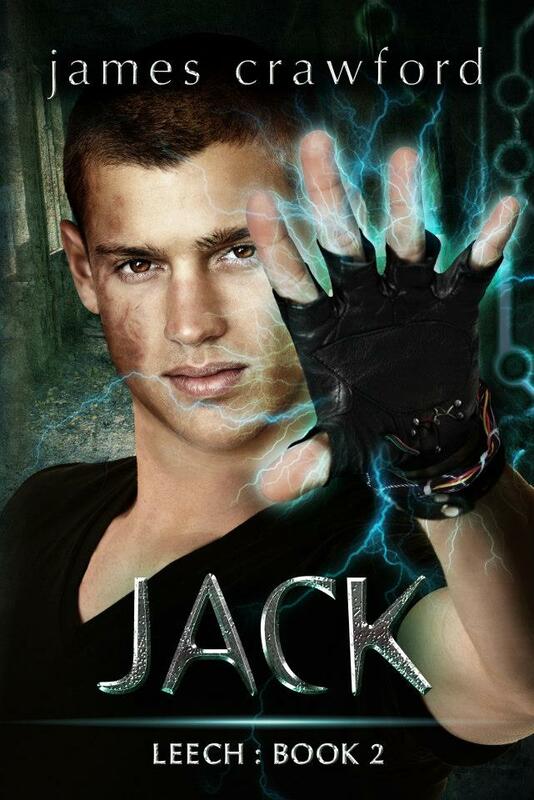 This books is told from Jack prospective as he is trying to wrap his head around living in a world without the one he loves. When he discovers that there is a chance his love is still alive he sets out on an adventure to find and bring them back home. I love writing the first draft of a story. It’s the part where all the characters are yelling at you at once. You know where you want the story to go, but the details of the journey take a life of their own and sometimes re-write the whole ending. It’s as close to reading as the story gets. Oh the hardest part is keeping the characters voices at bay when you have to perform real life tasks like driving, or working a daily job. When you are in writing mode you constantly hear from your characters, if they like a scene, if they don’t, or if they just want you to rewrite a whole chapter. It’s hard to function some days. I would have to say all the great people I met along the way. Yeah there are some pretty rotten people who’s soul goal is to rain on any day you want to enjoy, but you know what, there are far more people out there who are so kind and so supportive that even though it might be raining you are still laughing and splashing in the puddles they created. The fellow authors who go out of their way to teach you some trick. The bloggers who help spread the word about my books for sometimes less than a thank you from the authors and most importantly the readers who send emails saying how much they loved our books and how it touch them. You guys are the most rewarding part. Right now I just have the two books out. 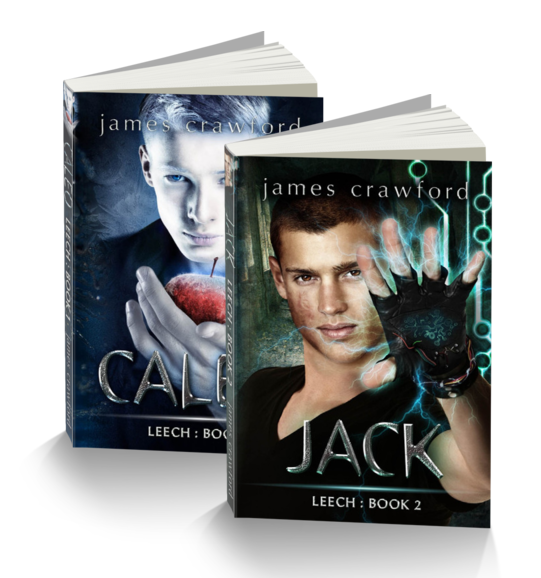 Caleo Leech book 1 and Jack Leech book 2. I am working on the third and final book in the series right now. It is called Nolan. I am hoping to have its cover up in a few months but I don’t think it will be published until April 2014. At the moment I have three stories on the back burner that I am hoping to get to after the Leech series is complete; A sky pirate series, a werewolf novel, and a superhero (actual capes and spandex) series. If you have a story you think others would enjoy start writing. You don’t have to be great at grammar, you don’t even have to know what you’re doing. Just start writing, then write some more, go back read what you got, and don’t be afraid to ask others for help. If you are passionate about getting your story out there you will learn as you go. I am a TV junkie. I love tv series. The longer they are running the better. Falling in love, falling for the characters, seeing them develop over the episodes. Yeah, I am just a story junkie I guess because it’s the same for book. I am and will always be very approachable. Drop me an email, I love to talk about book & TV. If you are looking to self publish and need some help or advice, I will be glad to help you not make my mistakes. Or if you just want to say hey, I will always respond to an email. Thanks James, for sharing your story. You are an excellent story-teller and I am looking forward to reading more of your series. Please keep in touch. Big hugs and best wishes to you always. Every High School has their social outcasts. The band nerds, the math geeks, the chess club, the girl that chews her hair, but at Butler High, even the creepy nose picker in the chess club is more popular than Caleo Anima. No matter what he did, his pale skin, snow white hair, and piercing blue eyes always made him an easy target. He used to think that the only way things could get worse would be if someone found out that he was gay, but that isn’t even the tip of the iceberg of problems after a mysterious stranger shows up and changes Caleo’s life forever. Hidden amongst our society, a secret and magical race of people known as ‘Leeches’, have been engaging in civil war for decades. Both sides are desperately searching for a weapon with unlimited power that will give them the advantage they need to rule their world. 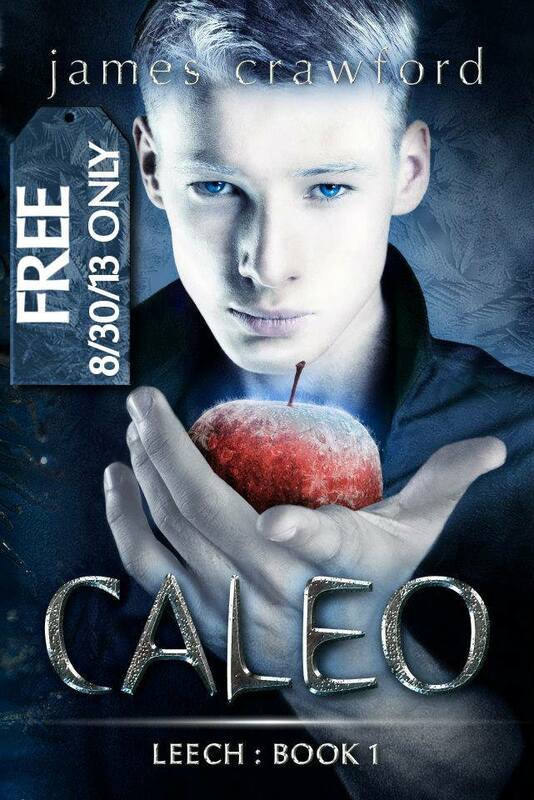 This wouldn’t mean anything to Caleo, except for one problem…He is that weapon! James Crawford lives in Horn Lake Mississippi with his partner of 7 years. He began writing the Leech series in 2007 after having a reoccurring dream about about a young boy with skin whiter then a sheet. The story inspired a writing frenzy that is shaping into the Leech series. I totally love this. It truly makes my day when I can connect with such amazing people all around the world, as well as closer to home, and it is a wonderful opportunity to be able to share their great personal stories and novels with my readers, colleagues, and friends. That said, my guest today is another friend I met online. She is honestly a good sport when it comes to keeping up with everything so many of us have going in the world of writing and it is my pleasure to share her story with you. She is, Janell Rhiannon. I have lived my life between two states, Hawaii and California. But, I call California’s Central Valley my home. I went to a local community college where I realized I loved history and literature, and I could actually do math (something that eluded me in high school). I went on to CSU Fresno and continued studying history. I was very lucky to have two excellent and influential professors, Dr. Hanson (VDH) and Dr. Cline. They both encouraged the pursuit of academic writing, and gave me the tools to research like a gladiator. Because of them, I earned a masters degree in history with an emphasis in the ancient world. However, it was my freshman English teacher who I remember encouraging me to write fiction. And, so I am. Since I am an “indie” author, I still have a day job. Currently, I teach reading in high school as well as theater and history. I think there was a point a few years ago when I thought it was time to write and publish. It made me nervous to make that decision. 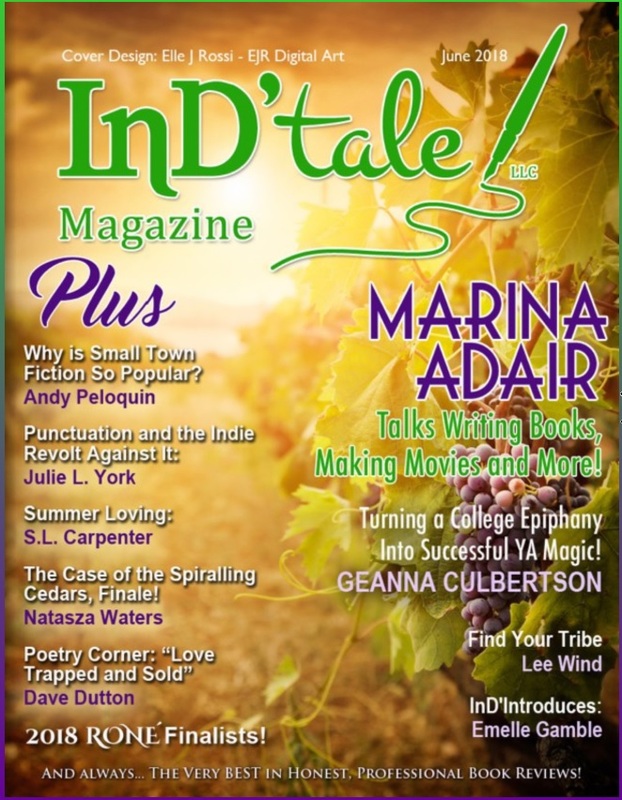 As any indie writer will tell you, there is that voice in your head you must push against that says “indie” publishing isn’t really publishing. But, now I proudly say I am a writer (and squint only one eye, not both). And since I am also a teacher, I write usually every night, wee early hours, and wee late hours. I squeeze it in anywhere I can. Good stories inspired me when I was young, and continue to inspire. I love a good book, film, or television show. When I was young, I wrote about things of teenage angst. As I got older, human relations intrigued me. I am inspired by a piece of music, especially epic soundtracks, and art…like Phatpuppy Artist, Claudia. Her pictures make this greedy side of me want to buy them all up for myself and write a story for each one. And people. Always people. I use a lot of literary allusion in my writing. In Invisible Wings, I make much allusion to Biblical stories, as well as to myth and romantic poets. My genre niche is historical romance with dashes or paranormal. Although, Invisible Wings is straight YA-14 Paranormal. (I say 14 plus, because there is language best suited for high school). Invisible Wings is more than a compilation of short stories. It’s a framed story. In chapter one, you’re introduced to Arabella, who learns on her fifteenth birthday that she is a “reborn” angel. She is the constant character thread in each chapter, as she interacts alongside another teen character. The final chapter ties all previous stories together through Arabella’s own story. The teen-angel Arabella must help her classmates realize their true destinies, using her angelic abilities, including time travel. The moment the first star pops into the twilight sky, Arabella shimmers into action on invisible wings. Arabella works her angelic magic in the tragically beautiful lives of twelve teens. There is Bryson who dreams of kissing the lips of a girl named Sapphire, before he was paralyzed, Jayla who wishes she was white instead of African-American, Homer who wants his soul-mate to drop from the sky and ease his loneliness, and Ramon who feels destined to be in a gang like his father. Arabella answers their dreams and wishes in unexpected ways, and those of eight others. “The End”…(LOL) that’s a great question. I think there were moments in each character’s story where I felt the writing flow, and that’s always the best. I think I like the twilight moments the best. The crescendo of Arabella doing her thing, yeah, that was my favorite part. There is a story about a young girl, Nalea, whose mother died and she and her family are homeless. That story really made me think about gratefulness and family, and how we often take things for granted. It was bittersweet, and it was hard to write. Can I say editing at this point? Bringing characters to life. I love putting words in their mouths. It’s probably the only time you get to “tell someone what to say”. Yes. Livingstone Saga. The first novel is titled Birth and comes out Valentine’s Day! It’s the first book in a planned trilogy. I will tell you this secret first, I realized the other day, I might have a fourth book in here…maybe stay in medieval Spain one more book. I think the best advice is just to write. Listen to when people are critical and take what you can from it. And read everything you can. If I am not writing, I’m watching a movie or reading a book. My favorite thing to do when not writing? Spend time with my granddaughter. I have lots of stories swirling around in my head, so keep checking back with me. Thank you, Janell. It was a great pleasure to interview you on my blog and I look forward to reading more of your wonderful book. The reviews from some of your young readers in the beginning of the book really spiked my interest and I hope you continue forward with much success. Big hugs and best wishes to you, always. An angel is sent from the Eternity to live as a teenage girl. She’s not beautiful and she’s not fallen. She’s here to assist her classmates with their true destinies. She doesn’t even tell you her name until the end of all the stories. She always knew she was a little different from other kids because she “heard” things that no one else could, like the sound of light and strange mystical bells. She noticed things that others seemed to overlook, like the way life is like a footprint in the sand with the ocean washing you away bit by bit or the way bullets fly like butterflies. One day, out of the blue, she heard her cat and a mysterious Voice. That’s when the odd teenager learned she wasn’t like everyone else. Something she’d suspected all along. She discovered she was really an angel with a gift: the ability to hear the secret thoughts of others and make their wishes come true. There was also a catch; she only had a single second on any given day when she could make a difference. Right before the first star popped into the twilight sky, she was allowed to shed her human skin and become an invisible guide of destiny. Invisible Wings is the angel’s story about how she changed the course of twelve kids’ lives in her high school classes. Their wishes were simple. There was Bryson who wanted to kiss the lips of a girl named Sapphire, Jayla who wanted to be white instead of African-American, Homer who wanted his soul-mate to drop from the sky, Ramon who wanted to be in a gang like his father, and ska8rat Jay who wanted to stop the noise in his head with dare-devil skating boarding tricks. The angel works her “magic” in their lives, as well as the lives of seven others. 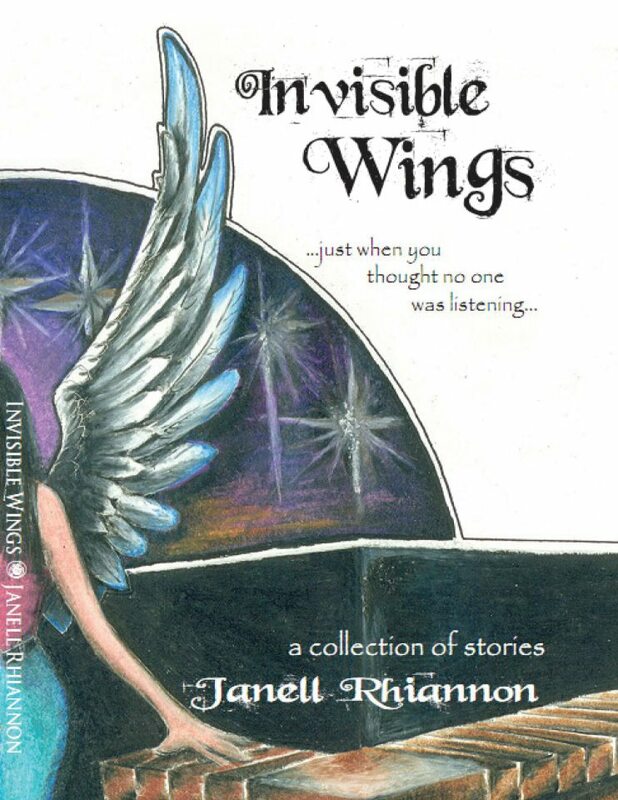 Janell Rhiannon has been writing since she was in grade school. In high school, her 9th grade English teacher suggested she consider a career in writing. After a decade in college and a Master’s degree in history, she became a part-time college history instructor and eventually settled into teaching high school. Writing never stopped. Stories never stopped. READING fiction never stopped. 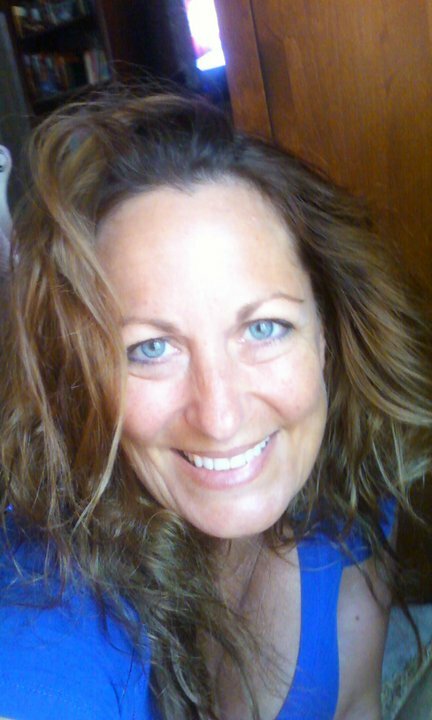 Now, Janell writes and publishes her works on-line. ‘Invisible Wings’ is her first YA novel, a compilation of short stories centered on teenage life triumphs and tragedies. Mythology and Fairytales are her favorite things to research and write about. Anything magical and mystical. She now resides in CA and continues teaching freshmen. The Jake West Trilogy tells the story of two ordinary British teenage boys who by accident unlock a deadly secret which threatens to destroy all humanity. Hunted across two worlds, the teenagers escape to a fantasy land where they will have to rely on each other and the alliances they make in order to survive against the overwhelming magical forces of evil who seeks their destruction. These inspirational novels, originally written for the Author’s own children, contains heroes in abundance, battles, wizards, dragons, spirits, warriors and beasts, and just plain human guts and determination, with strong elements of friendship and loyalty. The Jake West Trilogy is an epic fantasy adventure series that has been compared by some readers to the great author C. S. Lewis, and has been described as a cross between The Lord of the Rings and the Harry Potter Series. Without question, this series is destined to take the YA Generation by storm as the next big thing in books and film. “Hey! Look at this.” Ben stated, as he pulled out a beautifully ornate wooden box. Ben held it up towards the skylight for a better view. The box was made out of a wood they didn’t recognise and it was intricately carved with exquisite patterns all the way around. On its top was a crest, formed out of a different type of wood altogether, a shade darker than the one used to make the box itself. It was shaped like an eagle with outspread wings and it was embossed onto the box somehow so that it protruded ever so slightly. “Listen, I’m telling you it won’t open!” snapped Ben in frustration, as he tugged and pulled at the sides. “It feels hollow, but as if there’s something inside. Ahh, it just won’t open!” he shouted, before giving up and passing the box reluctantly to Jake. Jake looked at it closely. Ben was right; there was no obvious way of opening it. He turned it around and around, searching for a catch or a lock of some description and as he did, his right palm passed over the crest. The sound was just loud enough for the boys to hear and they instinctively looked at one another. An enormous roar shook the building and frightened them both. It was a deafening sound, as if an explosion had occurred nearby. Jake’s eyes didn’t move from the box as he replied. “I- I don’t know, it…” He stopped again in mid-sentence, as he suddenly felt the box move slightly in his hands. “It’s opening. Look. It’s opening!” he cried out excitedly, shouting at Ben as if his best friend couldn’t see what was right in front of him. The top of the box began to split into two and very slowly each top panel moved outwards. Both sides of the box began shifting, layer after layer, moving slightly outwards until the box had opened fully and each side resembled small inverted stairs. The back of the box had remained intact, but it had extended the entire length of the new object so that it now resembled the shape of a small, opened sewing box. “Holy sh… Hey, look at that!” shouted Jake, now staring directly into the open box. Positioned neatly in each corner were four round, coloured gems, all of them roughly about the size of a large grape. Each stone was a different colour; the first was a bright red, the second dark green, the third a bright blue and the fourth a bright yellow. In the centre of the box was a larger , more ruggedly cut, white stone that had no discernible shape and was far less pleasing to the eye. It seemed to just lie there in the centre of the box, without moving. It didn’t move! The stone was touching nothing. But it didn’t move an inch when Jake shook the box. It was somehow suspended in mid-air. The boys looked at each other in amazement, forgetting all about the thunderous bang that had scared them so badly, only seconds before. Suddenly, all four corner stones began to glow brightly. Jake was unnerved by it and he shuffled backwards. He put the box down on the floor and stood up quickly. Ben instinctively stood up beside him. A small hum began resonating from the four corner stones, growing louder and louder until suddenly, each stone came to life and emitted a bright ray of coloured light which surged rapidly towards the centre stone. The four differently coloured beams of light hit it simultaneously and an even louder hum began, as the centre stone started to rise out of the box. It stopped ascending once it had reached its apex and a beam of bright white light suddenly appeared which raced up to the ceiling. The light hit the roof and then it bent, running along the ceiling to the skylight, from where it shot straight up to the sky outside, miraculously leaving the skylight completely intact. When the beam reached the sky, the box once again erupted into a deafening roar. It was even louder than the previous one had been and this time, the boys fell over backwards onto their behinds. “Aaarghh!!! Christ, I can’t see!” yelled a terrified Ben. “Yeah, pretty much the same, thank heavens for that! I thought I was blind for a moment. Oooh that was loud. My ears are still ringing.” Said Ben, as he shook his head and banged his hands against his ears in turn. “Ditto. Cor, my head’s pounding.” Jake shouted. He moved his jaw around to try to ‘pop’ his ears. “Wow! Bloody hell, mate. What a rush! What have we done? What was that?” The palms of his hands were sweating, he rubbed them on his jeans. His heart was beating so furiously that it felt as if it was going to come out of his chest. Adrenalin was coursing through his body and he was shaking all over. Ben went quiet, the realization of what had actually happened having just dawned on him. He couldn’t speak, he just stared back at Jake with the same astonished expression on his face and shrugged, before immediately returning his gaze to the stones, and the now slightly diminished light. After a short while though, Ben recovered himself and the power of speech. He turned to face his friend. Jake shrugged. He had no answers to give. He was equally as stunned and amazed as Ben. As he continued to peer anxiously into the box, waiting to see what else might happen, his mind was in complete turmoil. Something amazing had just happened, that much was abundantly clear. But he really didn’t know whether he should be feeling excited, or scared. “Oh yeah? What’s that then?” asked Ben. M J Webb is a forty-something father of two and husband to one from Walsall in the heart of England. He has worked for the British Civil Service for over twenty years. As a full-time employee and father he has limited spare time but what little he can find is spent reading, writing, cycling, and following football. M.J. Webb has been contacted by Radio WM and asked to appear on Joanne Malin’s show – “Mornings with Joanne Malin” – to talk about his books/self publishing in general. 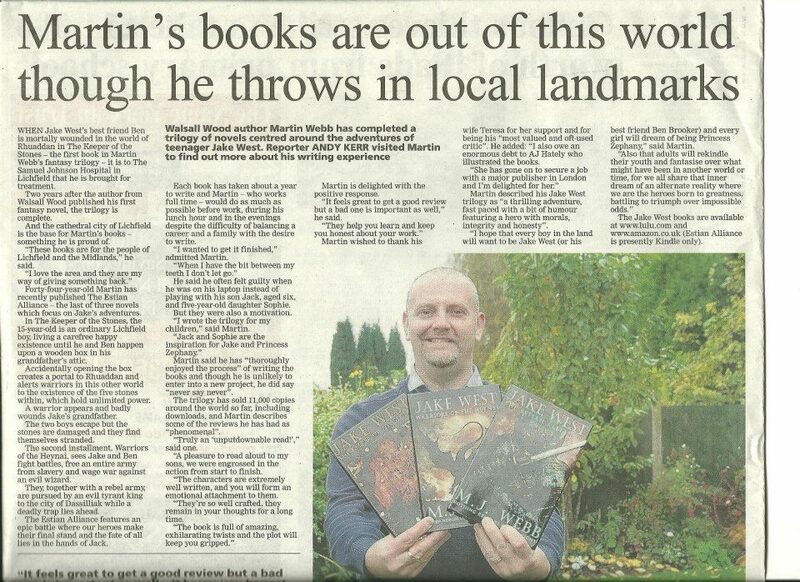 The Jake West Trilogy is an epic fantasy adventure series which will have you laughing, crying and begging for more. Compared by some readers to the great author C S Lewis, M J Webb’s novels have been described as a cross between Lord of the Rings and Harry Potter. The story tells of two ordinary boys who unlock by accident a deadly secret which threatens to destroy us all. Hunted across worlds the teenagers escape to a fantasy land. There, our intrepid heroes will have to rely on each other and the alliances they make in order to survive against the overwhelming forces of evil who now seek their destruction. The exciting novels contain heroes in abundance, battles, wizards, dragons, spirits, warriors and beasts, the undead, prophecies… and just plain human guts and determination. There are strong themes of loyalty and friendship. These are books all parents will want their children to read and be inspired by. ‘The Estian Alliance is the spectacular conclusion to the Jake West trilogy which will take you on the ride of your life. This story is full of action, adventure and twists and turns that will keep you on the edge of your seat,’ said one reviewer. ‘A pleasure to read aloud to my sons, we were engrossed in the action from start to finish. The characters are extremely well written, and you WILL form an emotional attachment to them. They’re so well crafted, they remain in your thoughts for a long time,’ said another. When worlds collide, heroes are born. The Jake West Trilogy – the most fun you’ll have had in a long time. If you liked Harry Potter, you’ll love the Jake West Trilogy! 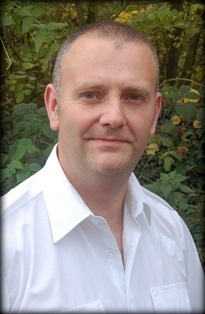 M J Webb is a fortysomething father of two and husband to one from Walsall in the heart of England. He has worked for the British Civil Service for over twenty years. As a full time employee and father he has limited spare time but what little he can find is spent reading, writing, cycling and following football. He has just bought a folding camper so he will soon be venturing into the world of camping.